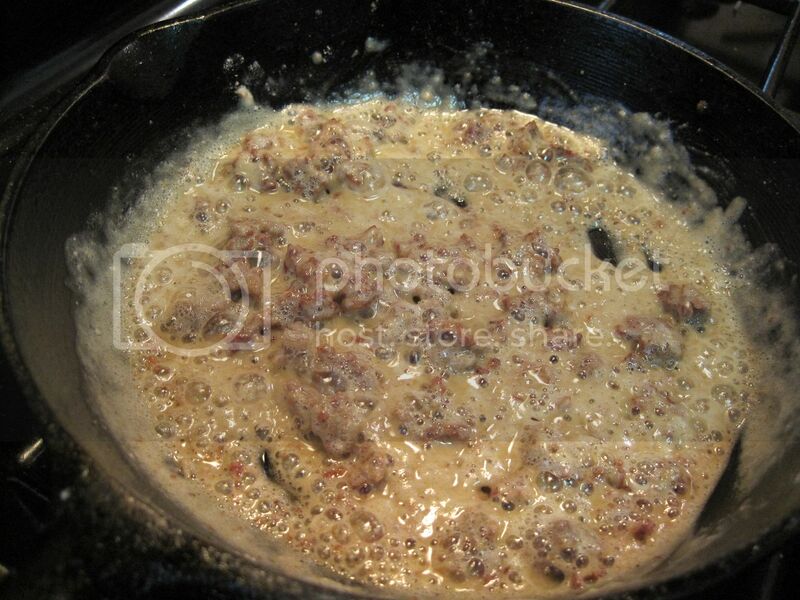 So if you love a Southern guy who just can’t live without breakfast, then you gotta learn to make sausage gravy. Every woman in the South has to learn how to make gravy. It’s required even though you’re a Filipina transplant like me. lol! Sausage gravy is typically served over biscuits but since I have to infuse some Filipino food to this Southern table, this gravy was poured over garlic fried rice. I know, the horror!, right? But it made him happy and we don’t always eat this way so I suppose it’s ok. 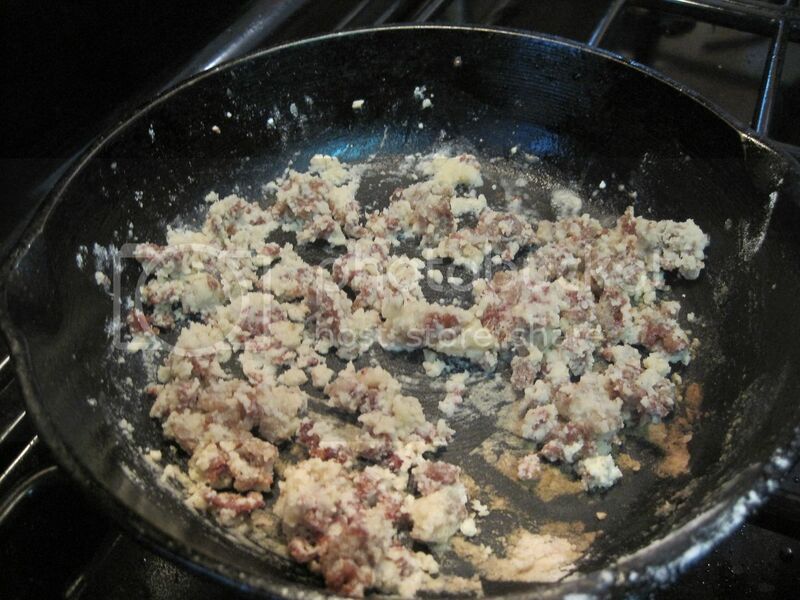 So here’s how you make Sausage Gravy. I made a small batch (1 cup) just for him so if you need more, just double of triple the recipe. 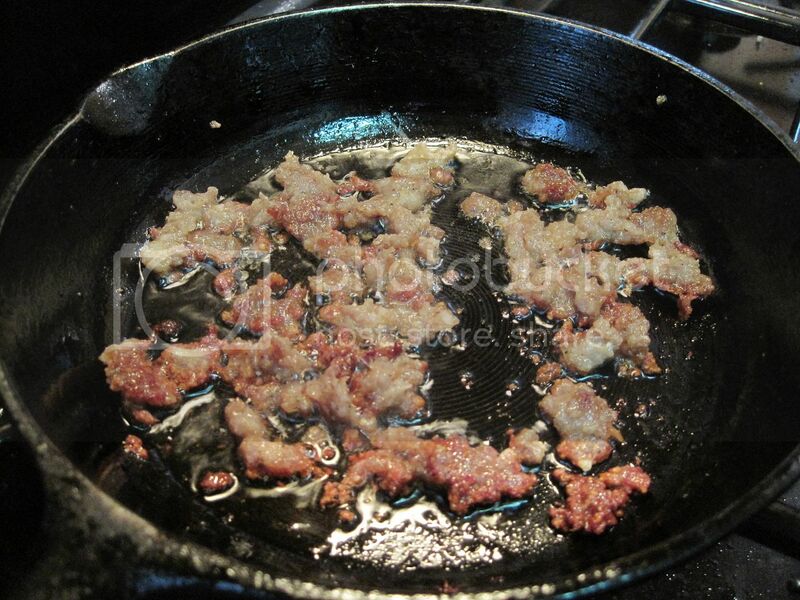 Neese’s sausage is the sausage that my husband grew up with here in the South. It is uncased and comes in a brick that you would have to cut slices off from. I sliced about a half inch thick and broke it up in the pan. 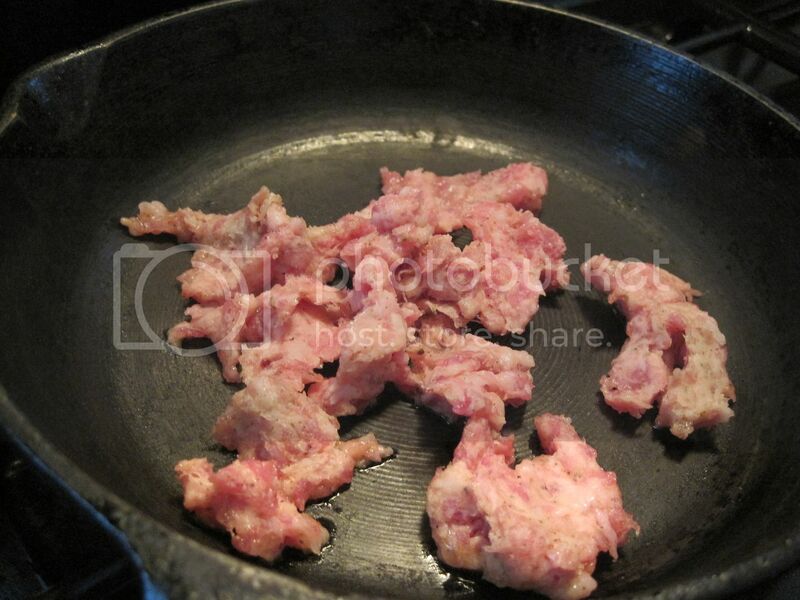 Heat your pan to medium and brown up the sausage until it renders its fat. 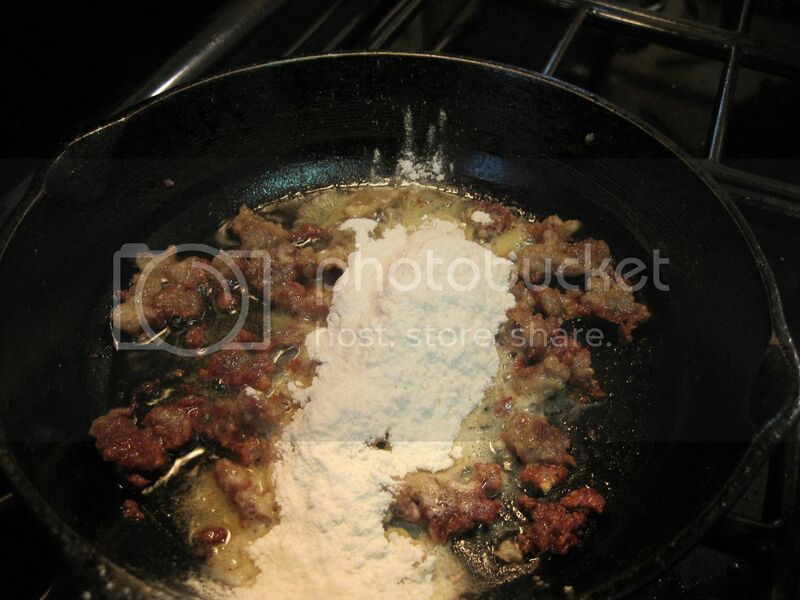 When they have browned up a bit, add the flour. Stir it up and let the flour brown up a little but not too much. 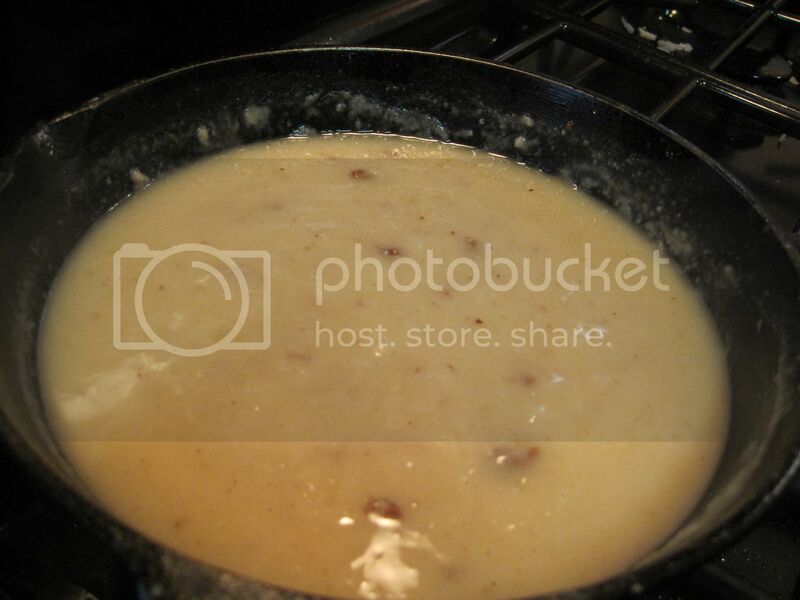 This isn’t going to be a brown gravy. It’s typically more beige looking. At this point, when it has that lightly browned color, you can add in the water, stirring it up as you go so you don’t get lumps. Let it slowly come up to a low boil and it will thicken up as it cooks. You can now season it with a bit of salt and pepper and it it’s looking too thick for your liking you can add a little more water. Let it cook just for a few more minutes (about 5) and you’re ready to serve! 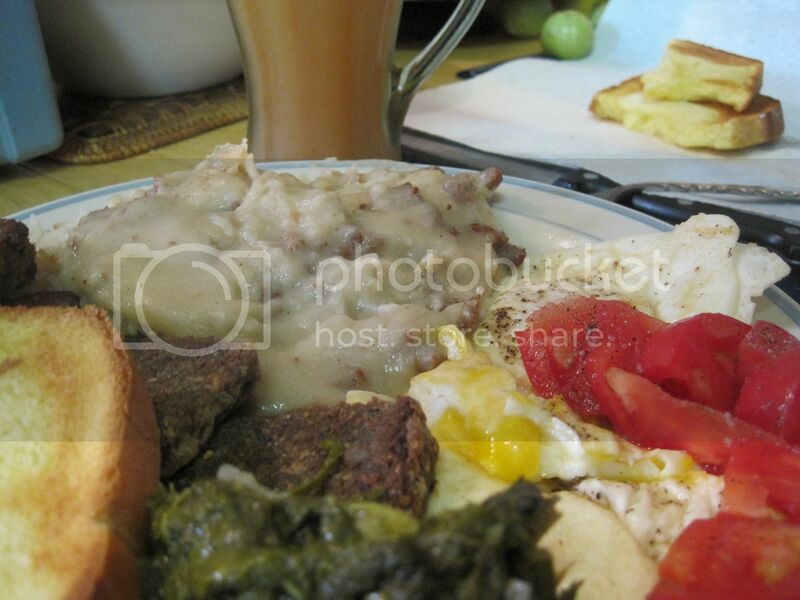 This is quite honestly my dad’s favorite breakfast. However, he always makes it for himself because I don’t know how to make it! Luckily, thanks to you, that has changed and I will make it sometime! Cheers from chewonthatblog.com to you!